This page is dedicated to Cardigans and their owners whom have shown outstanding achievements. We invite all our adopted families to let us know so that we may also honour your Cardigan awards. Jake is more formally known as HTCh Welgem’s Black Opal CGN, HRD III-S, RLF III-S, HTAD-S.
Jake is the first Cardigan Welsh Corgi in Canada to achieve an AHBA championship. 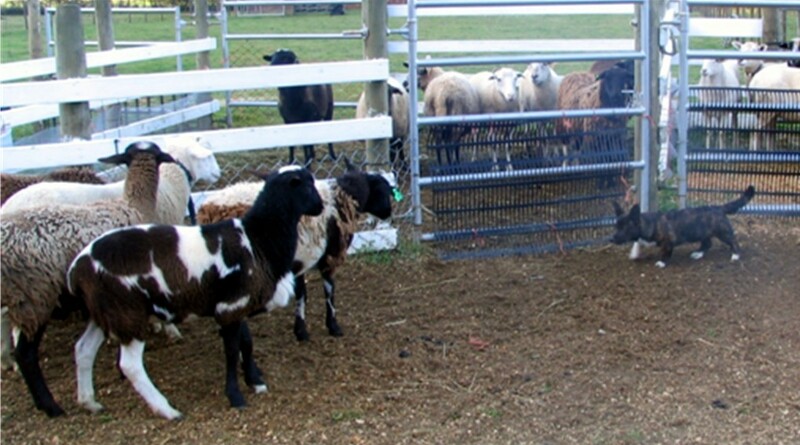 AHBA is focused on practical herding and its courses typically include farm tasks such as loading a trailer, pushing sheep through sort chutes, moving large flocks 25-50 sheep and any other farm tasks. 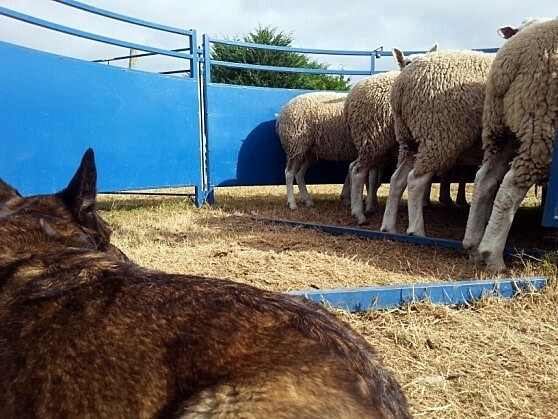 Jake is a serious, smart working dog with a sense of humour and a real partner around a farm. 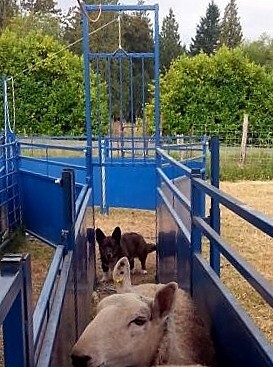 Here he is quietly pushing sheep down a sort chute and driving a large flock having picked them up in a 10 acre field. 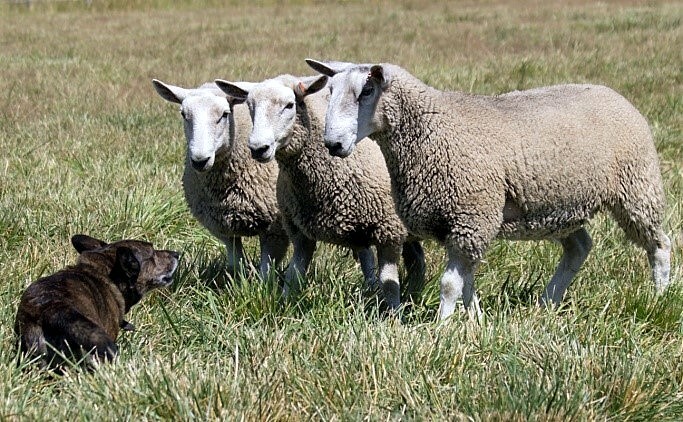 It has not always been easy for Jake as a small dog facing large sheep but we have built the trust and confidence to work together – he really is a wonderful dog and a true credit to the Cardigan breed. Every once in a while a star comes along. Jake is one. 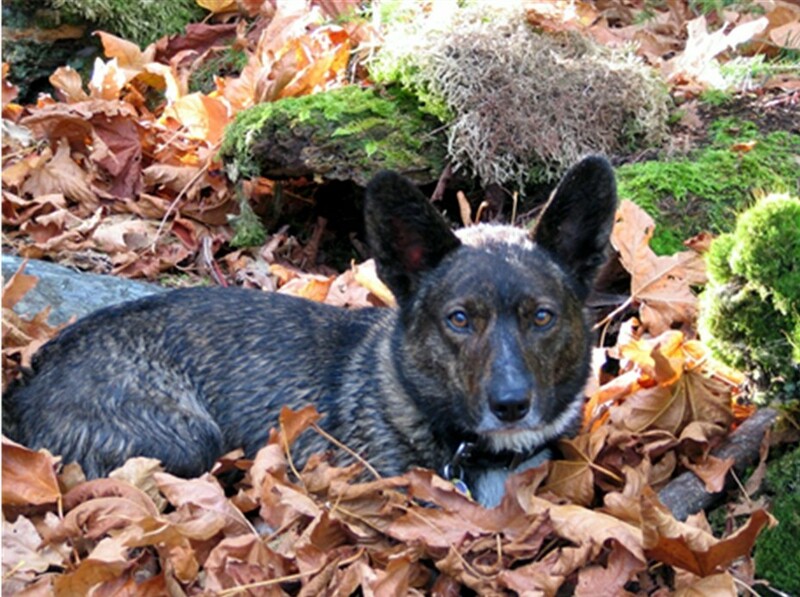 His owner, Anne Gunn, is experienced as a herding handler, having successfully trained and herded with her long standing partner – Beka (who is also a Cardigan Welsh Corgi). Beka herds for fun now, which has allowed Jake to come into his own. He was born in September 2008. Anne saw potential in his abilities from the get-go. At the tender age of 9 months she started exposing Jake to the arena. 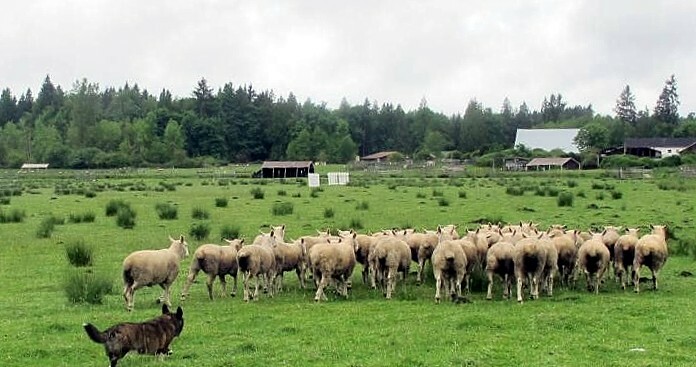 In 2011, Jake had moments of brilliance during Arena Trials on sheep at the Started level. 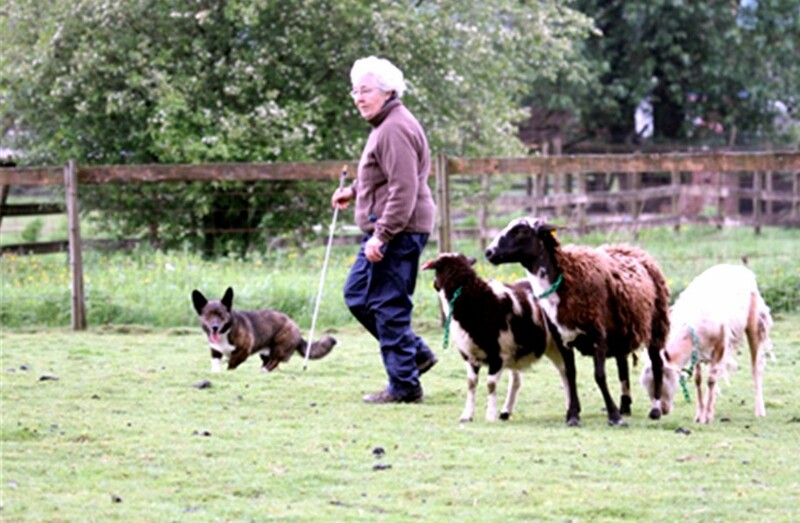 This photo shows Jake keeping sheep to Anne during his first CKC trial in May of 2011. 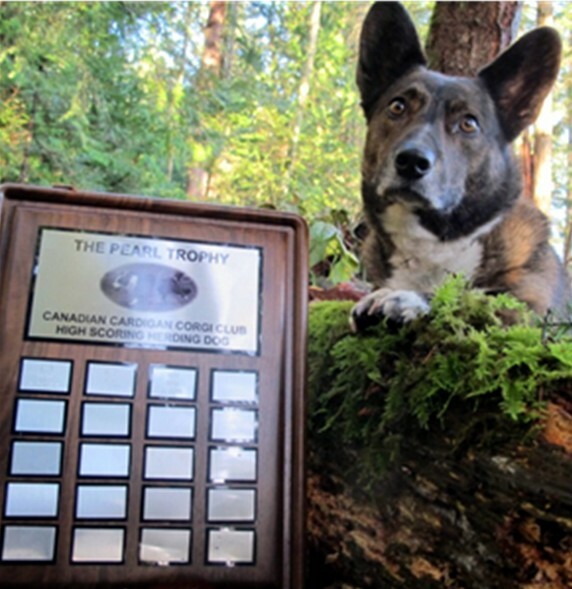 The scores were enough that Jake also took the 2011 Pearl Trophy, which is the Canadian Cardigan Corgi Club annual trophy for the herding Cardigan with the highest average scores during the year. The scores also gained him a place in the National Herding Showcase when he showed more speed than was useful in the indoor arena.